The nominee for US Trade Representative (USTR) has just promised Congress that he will push for “Fast Track” authority. Fast Track essentially removes democracy from the trade negotiating and agreement process. It also gives negotiators the authority to go way beyond what we would consider “trade,” and requires a fast (60 days) “up or down” approval vote without amendments. This gives the giant corporations the opportunity to blast the country with major, multi-million-dollar PR campaigns just before a vote comes up, swamping the ability of We the People to organize and respond. Congress first passed Fast Track in 1974. 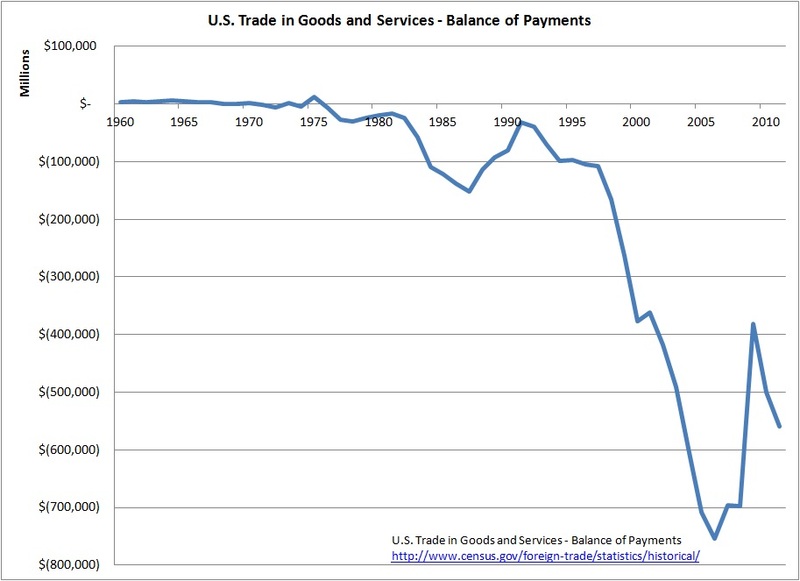 Here is a chart that tracks our balance of trade. 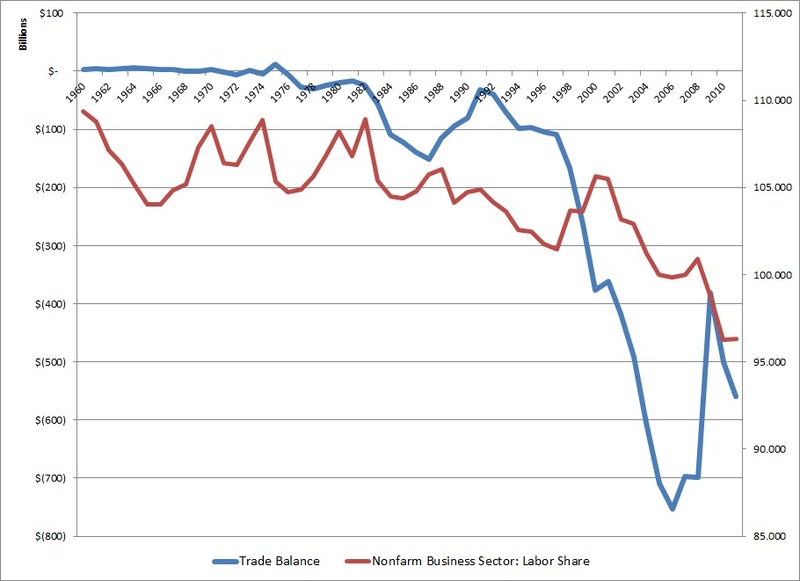 The trade deficits really got going in 1977, and then look at what happened after that. PS See also Richard Eskow, Corporations Are Colonizing Us With Trade Deals – and Wall Street Wants In and my earlier post, TPP: A Deregulation Treaty Not A Trade Treaty. 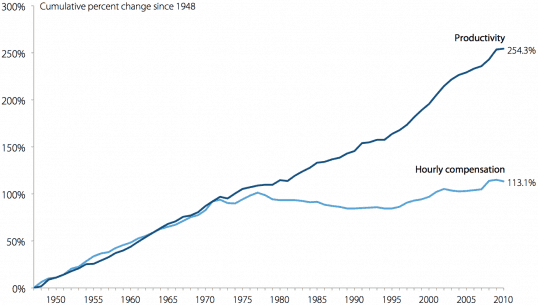 Oh, one more post: Job Fear From Trade Deficit Is What Happened To Jobs And The Middle Class.